List of the major attractions in Aztec. List of various attractions around the Four Corners. Looking for a specific map? Plan your trip in Aztec. The Four Corners region is home to endless recreational possibilities, including waters for the fishing trip of a lifetime. The region is home to fishing holes of all kinds and holds plenty of adventures waiting to be explored. While the San Juan River tops the "must fish" list, the Four Corners has numerous lakes, each providing a unique and memorable adventure. But for those who are not the avid angular, do not be dismayed, many of these lakes cater to the boating enthusiast as well as the wildlife viewing for those seeking to glimpse a rare bald eagle or nesting heron. In addition, many of the lakes offer back country trails and camping opportunities to be one with nature. Nourished by the Pine and San Juan rivers, Navajo Lake is 25 miles long with more than 200 camping and picnic sites, two improved boat ramps and a marina. Recreation includes boating, sailing and other water sports, plus trophy fishing for brown, rainbow, and cutthroat trout, largemouth bass, crappie, bluegill, channel catfish and Kokanee salmon. 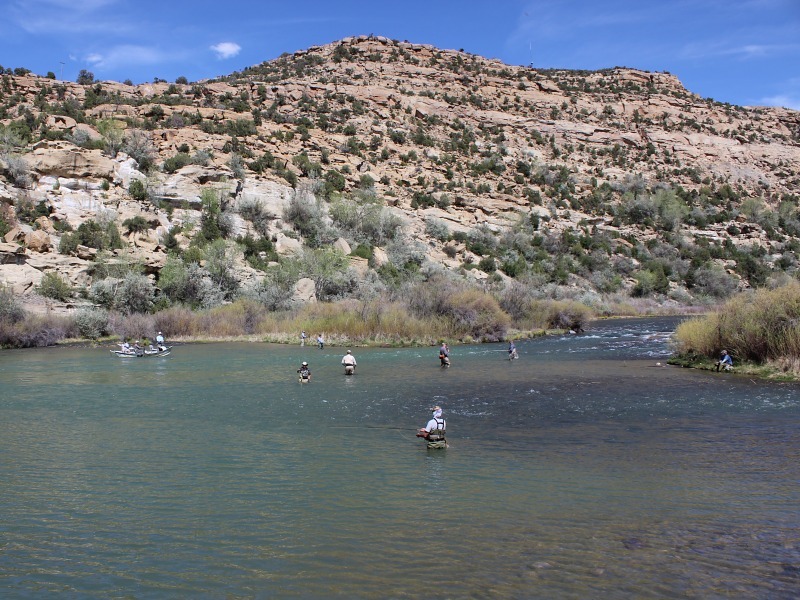 Flowing from Navajo Lake, the lower San Juan River is ranked among America's top-10 trout fishing waters. A 4.5-mile, nutrient-rich section below Navajo Dam is so spectacular for fishing that it has earned "Quality Waters" designation. (Special angling regulations are in effect.) Attracting sports enthusiasts the world over, the river further compels with multi-hued sandstone canyons and desert vistas. The Aztec Motocross Track is owned by the City of Aztec and is now under contract with AMX LLC to host races and maintain the track. For your mountain bike needs and repairs, visit our local bike shop. 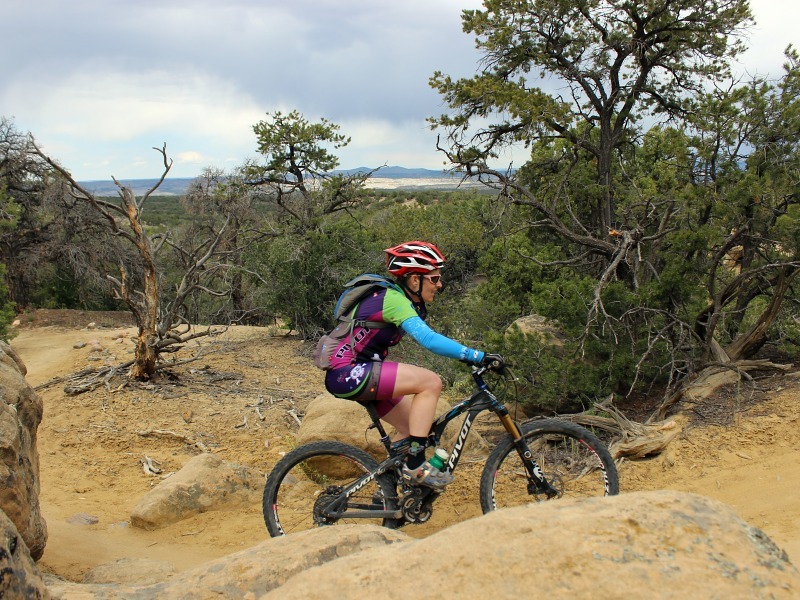 Aztec boasts over 30 miles of mountain bike trails, including the Alien Run, which is ranked among the more technically challenging and scenic single tracks in the Southwest. Routed near an alleged UFO crash site, "the Alien Run" can be navigated by a novice yet is immensely challenging for experts. The Alien Run is held every year in the spring (May). A local favorite, Mountain View trail is a great high-desert trail with scenic views to the north of the San Juan Mountains. Approximately 42 miles of marked trails for motorized trail bike and mountain bike riders are located in the limited OHV portion of the Glade Run Recreation Area. One of the longest running mountain bike races in the United States, the Road Apple Rally is an annual mountain bike race held the first Saturday in October. It is a regional favorite with pros and amateurs from across the southwest. Approx. 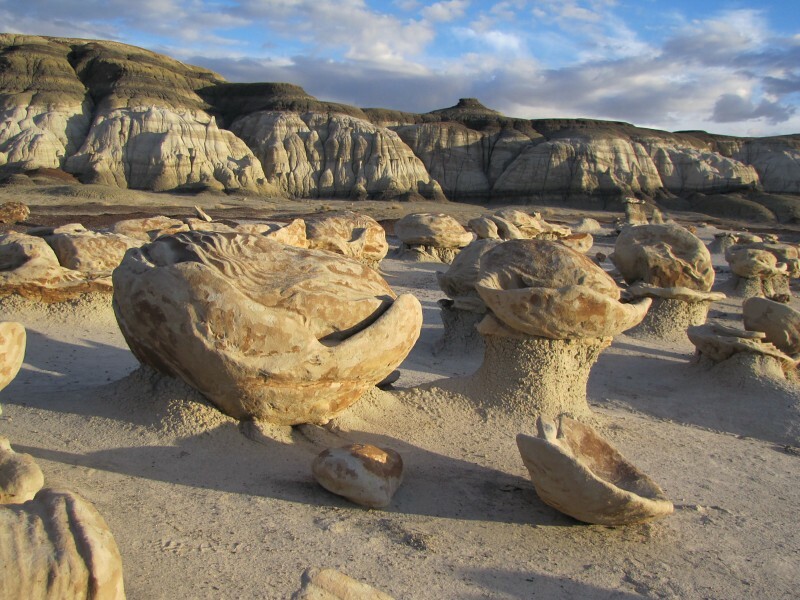 14.5 miles of trail through some scenic badlands, hoodoos, and tent rocks landscape. A local favorite, riding this trail can be very challenging with many sand traps. Little known in our region are the numerous equestrian trails that have been around for many years and some that are recently developed. For the horse enthusiast, visit our inventory of horse riding trails brought to you by Region 3 of the North American Trail Ride Conference (NATRC). 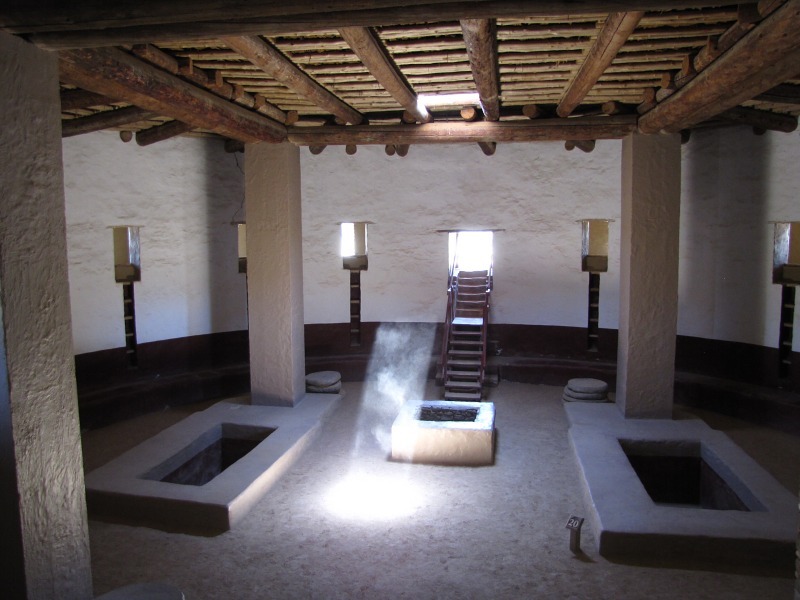 Visit ancient puebloan ruins, Navajo pueblitos, and historic homesteads in and around Aztec. 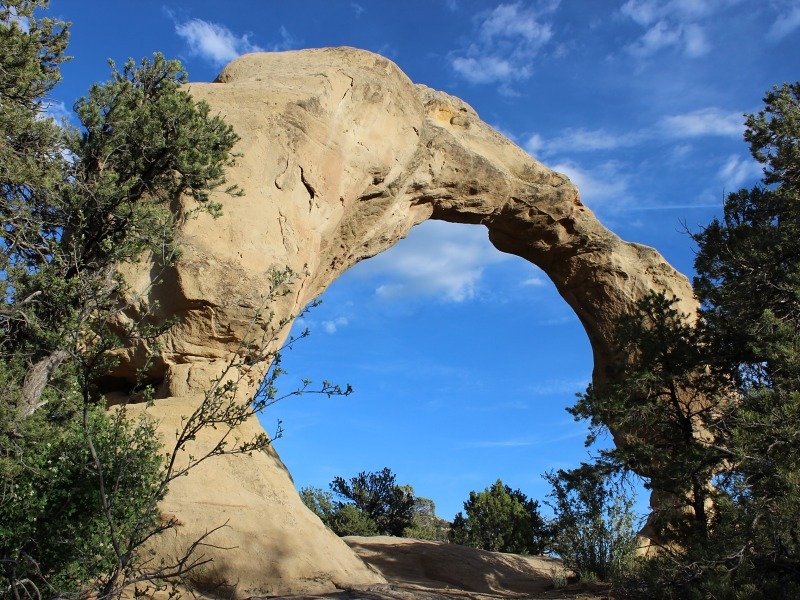 Inventory of over 400 natural arches and windows in San Juan and Rio Arriba counties. Take a tour of Aztec's Historic District, download the Walking Tour Brochure, or view samples of historic literature about Aztec and San Juan County. Visit the 1948 UFO crash site at a mesa near Aztec. Into nature watching? Bird watching? The wildlife in northwestern New Mexico is quite diverse within the various desert to riverine eco-systems. Various species have been photographed in the surrounding wilderness areas, canyons and river valleys present in San Juan County. Enjoy a round of 9 or 18 hole golfing year round at the Aztec Municipal Golf Course.